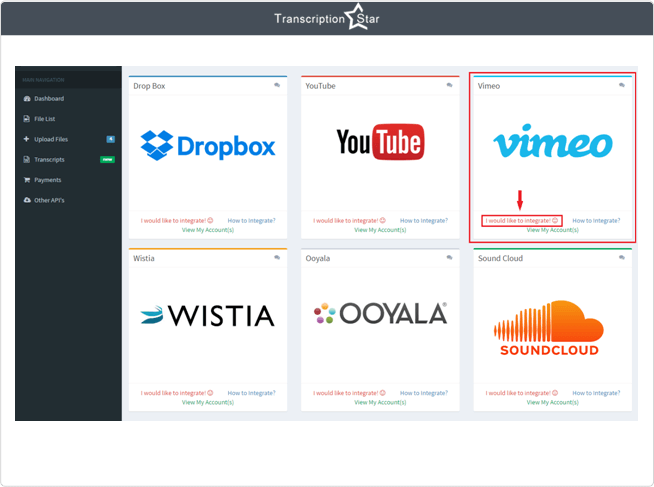 TranscriptionStar announces integration with Vimeo! First-off, why caption & subtitle your videos? 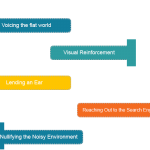 So that the deaf and the hard of hearing can better experience your videos, right? 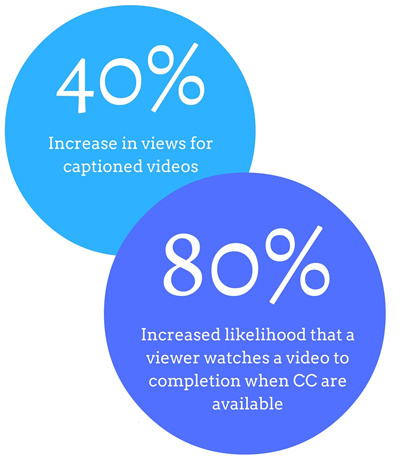 Riding along that trend, it is observed that your Vimeo videos will receive an increase of about 80% more users viewing through the end if only provided with captions. After all, that’s what we want, right! And adding more to your benefits is that, the transcripts of your videos make your Vimeo channel more SEO friendly. Your videos also become more suitable to be shared via Twitters, Facebook, etc. A win-win situation; you deliver your videos to more people, and more people get to benefit from your videos. So, here’s how to get those transcripts for your videos first. Let’s be honest, transcribing your videos yourself is going to be your no-cost choice. But, transcribing manually is a painstaking process, and it chews into a lot of your precious time. So, if you would rather make more videos than sitting down to transcribe them, then this option isn’t for you. Sky is the limit – when it comes to accuracy. You can make them as precise as you want them to be. If it’s a short video or rather you have enough leisure time, then transcribing the video yourself could be your best choice. 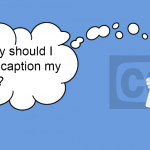 If you are on a time constrain or simple don’t have the patience for manual transcription, then a professional captioning service should be your ideal choice. 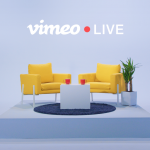 Say, you host a Vimeo channel and are likely to drop-in a couple of videos every other day; you don’t want to be captioning them all by yourself. It is better to stick with a transcription company who can offer you transcription services on a consistent basis. Of course – it comes at a cost! But still, we see a lot of Vimeo users opting for professional captioning services, simply because the pros outweigh the cons, anytime. Through our integration, we wanted to make your transcription experience significantly better. And, we have achieved just that, via Vimeo API integration within our all upgraded & dedicated platform – the iTranscript. 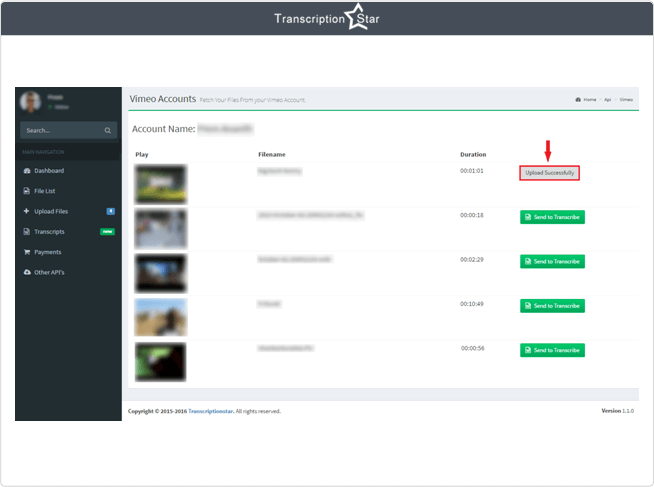 With iTranscript you will now be able to manage your Vimeo videos requiring captions in a jiffy. That is, you begin with linking your Vimeo &TranscriptionStar’s accounts. 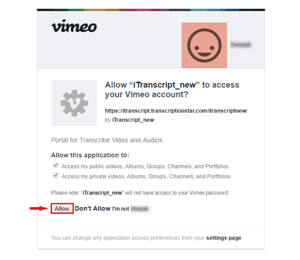 Once that’s done, all your Vimeo videos will be listed down in your iTranscript account (as and when new videos are uploaded, it will the updated in this list). Select the once you want captioned, and then confirm. That’s it!